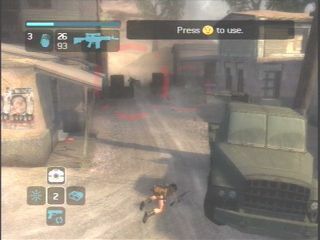 Tomb Raider Legend review Game Over Online - http://www.game-over.com The previous couple Tomb Raider games were met with a cool reception, to say the least. They were simply missing something that made the older Tomb Raider titles work. Legend has dialed the series back to basics, but without going patronizingly retro. Most people agree that the series ended up somewhat derailed a few games back, so don't feel bad if you didn't play the past few games. 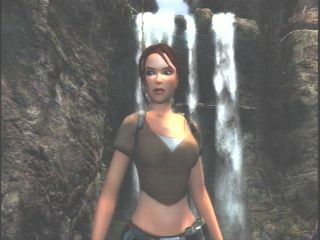 Just know that as of now, Lara Croft is back on track with Tomb Raider: Legend. Sit down and dig in as I explain why. Tomb Raider: Legend feels like a throwback, and I mean that in the nicest sense possible. 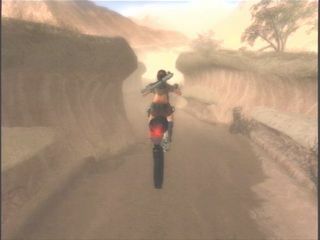 Most of you remember leaping forward, sideways and backwards to shoot bears and thugs and such in the original game. 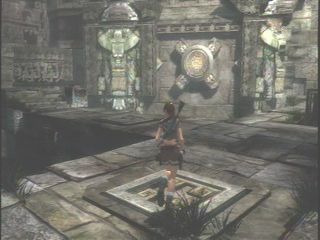 That tried and true gameplay struck a chord with a lot of gamers and helped make Lara Croft a household name, at least for a few years. 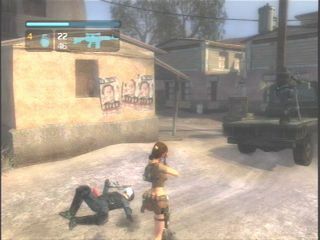 That very same gameplay is back now, only upgraded for the next generation. 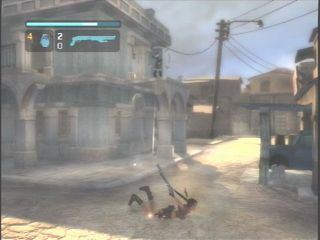 Gone are the rigid, grid-based actions of the very first game. If you want to dodge diagonally to avoid bullets, do so. Want to push your square crate in a semi-circle to set it down on a button in order to open a door? Do so. Lara exists in a fully three-dimensional and you have access to whatever you want. 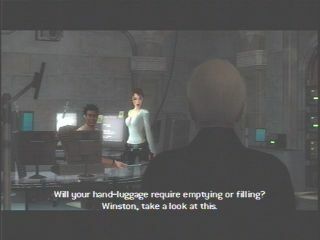 This freedom is partially expressed through Lara's new magnetic grappling hook. She can use it to swing across particularly long gaps, reel in the bad guys, or pull switches. It adds a new layer of exploration to the game, as well. There's no longer any such thing as an "out of reach" switch or door. Nine times out of ten, you're simply not looking hard enough for a surface you can grapple. 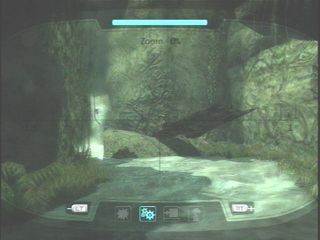 Finding these surfaces is made easier by Lara's binoculars, which feature a special mode that allows interactive fixtures to be highlighted and scanned. Once you scan them, Lara will usually say something to the effect of "That's a switch," "That's a mechanism," or "I can swing from that." That's your cue, and your clue. Sometimes, she won't say anything, and the icons at the bottom of the binocular screen will give you a clue. 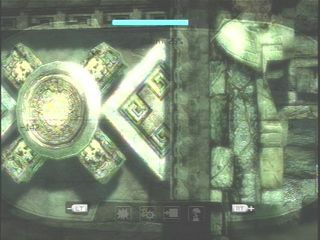 This way, you can easily ID puzzle components, moveable walls, and other necessary gameplay elements. At the heart of this, though, is the leaping, running, and exploration. Lara has more moves than ever, and all of them feel natural. 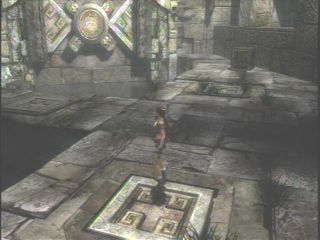 If you just barely miss a jump, Lara will reach out and grab the ledge with one hand. Then, you have to quickly hit a button to reach up and secure your grip. If you need to get a move on quickly, you can tap another button with a certain rhythm to hurry Lara along. Helpful? Most definitely. You'll constantly be in situations that require that extra burst of speed, and it looks pretty good, to boot. Speaking of looking good-- The first thing you'll notice when turning the game on, particularly on the 360, is that it's very, very pretty. 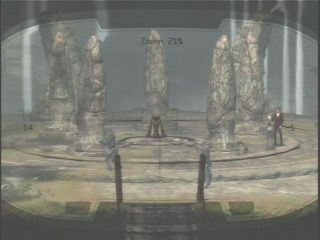 All of the backgrounds are luciously rendered, from steaming jungles to Croft Manor itself. 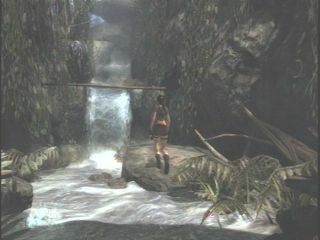 The various locations are filled with true-to-life detail, from running water to wafting trees. The textures are all on-point, and rusty, old, filthy boxes actually look good. The human models do leave something to be desired, though. They are a little too shiny in some areas, and Lara still strikingly underdetailed face to be in so realistic an environment. The male figures are all heavily sculpted muscle, as well. This deficiency is covered up by the fact that the models themselves are well-animated. Lara's running, jumping, swinging, and creeping all look excellent. She can do a totally over-the-top handstand to pull herself up onto ledges that is just as cool-looking as it is implausible. 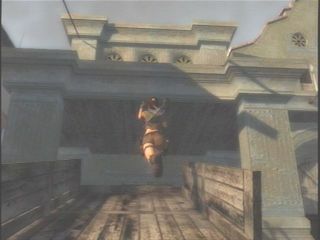 Her swaying motions when she's preparing to leap from one ledge to another is also well-animated. 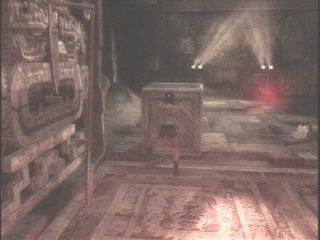 The previous couple Tomb Raider games were met with a cool reception, to say the least. They were simply missing something that made the older Tomb Raider titles work. Legend has dialed the series back to basics, but without going patronizingly retro. Most people agree that the series ended up somewhat derailed a few games back, so don't feel bad if you didn't play the past few games. 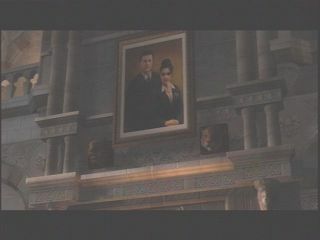 Just know that as of now, Lara Croft is back on track with Tomb Raider: Legend. Sit down and dig in as I explain why. If I had to pick one problem with Tomb Raider: Legend, it'd be the length. It feels way too short and the main quest can easily be beaten over the course of a couple days of hard play, or perhaps a weekend. 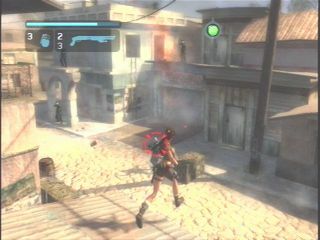 This is something of a problem nowadays, when many games turn to offering longer and longer campaigns to provide more bang for your buck, but Tomb Raider: Legend has plenty of action, exploration and puzzle-solving to keep you sated for a while. I wouldn't complain if they'd given us a little more, though, but this is definitely a stellar start.